Hi everyone, I'm back again to remind you it's time for another challenge over at Sketch N Stash and this time the sketch has been designed by our lovely Kevin. Now, I absolutely loved this one, not too fussy and perfect for a male card, so that's what I used it for. I usually find myself using one of Mo's fabulous images whenever I have to make a man's card (she does it so well) and this one is just perfect for any men who enjoy a spot of gardening. We have our regular sponsor My Mum's Craft Shop again this time and they are offering our winner a £10 voucher to spend in their store, so do try and join in the fun with us this time. Don't forget to take a look on the blog at the DT cards and check whether you won our last challenge or were one of our Top 3. Great male card Chrissie. I like the image. Phew - where did that fortnight go. 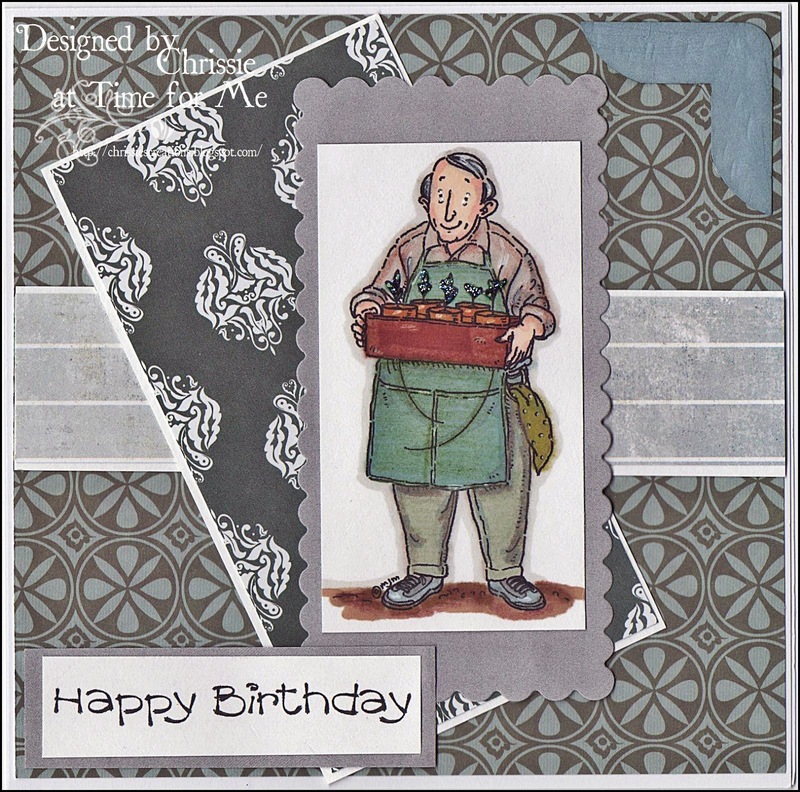 Super card Chrissie - great image and fab papers. Really lovely, Chrissie, Kevin surely is very proud to see what fab work you did with his sketch! 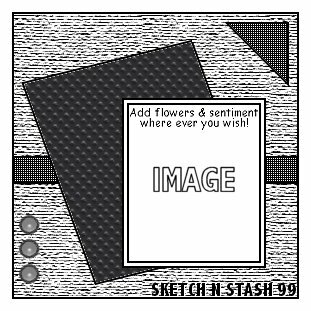 Hi Chrissie what a terrific card for a male, great image and those papers are lush, a super sketch. Brilliant card Chrissie, I like the image and the papers. What a gorgeous card Chrissie. Fabulous card once again sweetie. Great papers and awesome layout.